Shh! 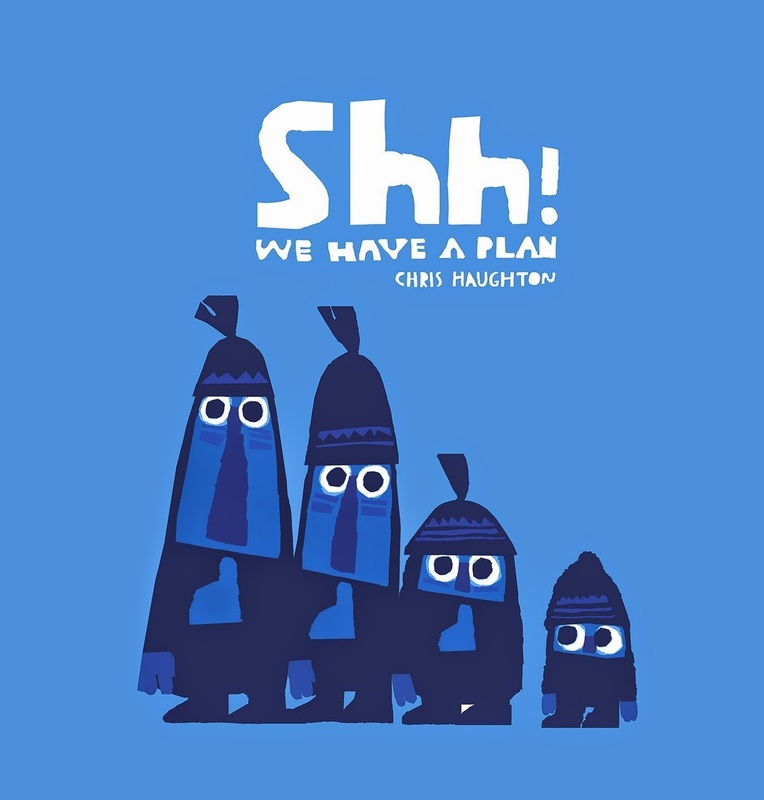 We Have a Plan by Chris Houghton. Quite possibly my favorite book of 2014. I also love Houghton's previous book, Oh No George! but I think this might be his best yet. The repeated phrase, "Shh! We have a plan!" is irresistible, and you'll find it invading your speech even when you're not reading the book. 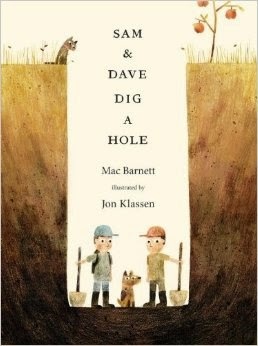 Sam & Dave Dig a Hole by Mac Barnett illustrated by Jon Klassen. 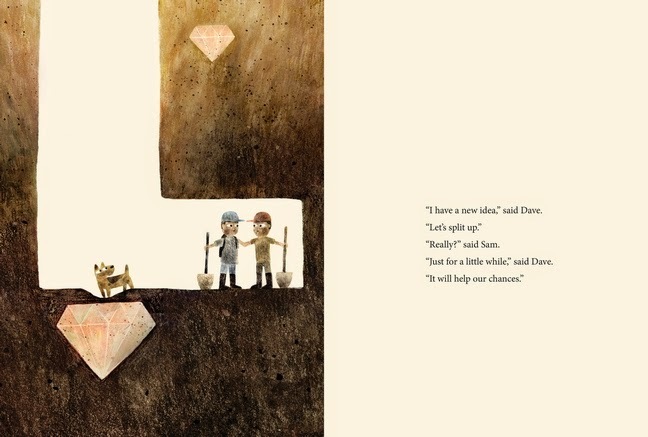 Sam and Dave won't stop digging until they find something spectacular. Unfortunately luck is not on their side. Viewers have an agonizingly clear look at just how close the boys come to making a discovery before they decide to change direction--again and again. Adults may be confused by where the boys find themselves at the end of the book, but kids take it in stride. 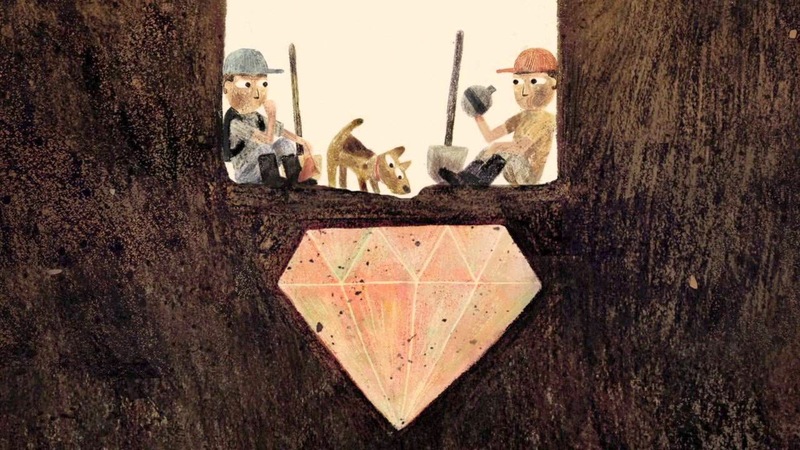 I've had so much fun reading this book to my Kindergarten classes this fall, inspiring questions like, "What do diamonds smell like?" and comments such as, "I'm going to faint!" "Awwwww crap" and "That.is.AWESOME." 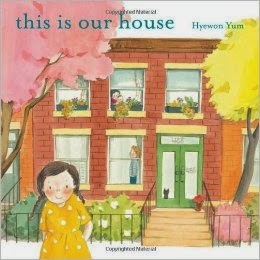 This is Our House by Hyewon Yum. As a new homeowner this book gets me right in the feels, telling the story of a family through their beloved home. A little girl is the tour guide, showing all the special places and events, "This is the house where my grandparents arrived from far away with just two suitcases in hand. This is the tree that blossomed in the spring when my mother was born." My favorite page is the one where the second generation is repainting the nursery for the third generation, and you can see in the illustrations that they are bickering. A true slice of life. You know that once scene from Pixar's UP? The one that makes everyone cry? This is like owning a picture book version of that scene, only with a happier ending. 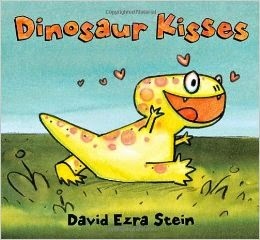 Dinosaur Kisses by David Ezra Stein. This book makes me laugh so much. Dinah the dinosaur is freshly hatched, and on a mission to give someone a kiss...whatever 'kiss' is. She exuberantly whomps, chomps, stomps and--"Whoops!" eats other prehistoric creatures until she finds her match. I can never get sick of this one. 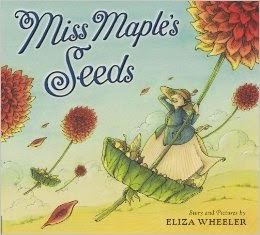 Miss Maple's Seeds by Eliza Wheeler. Miss Maple is a tiny old woman who cares for seeds that haven't sprouted. She collects them, bathes them, reads to them, and teaches them how to become what they are meant to be. 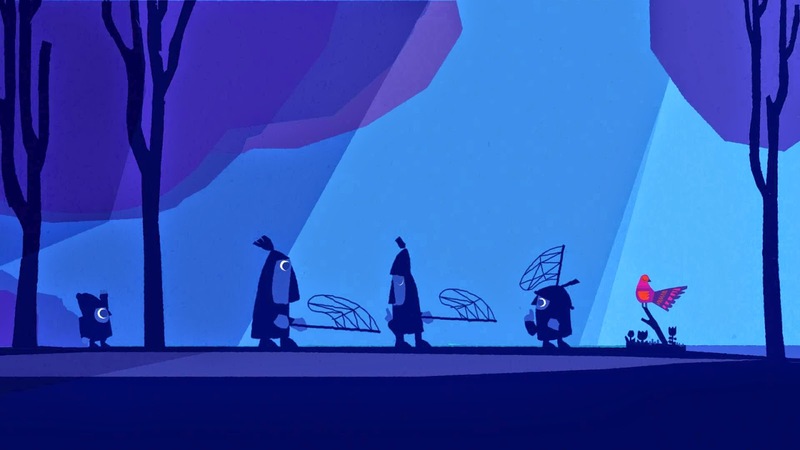 The next season, she sends them away to fulfill their potential. The pictures are full of whimsy and magic in the best possible way. This is one to cherish and reread over and over. 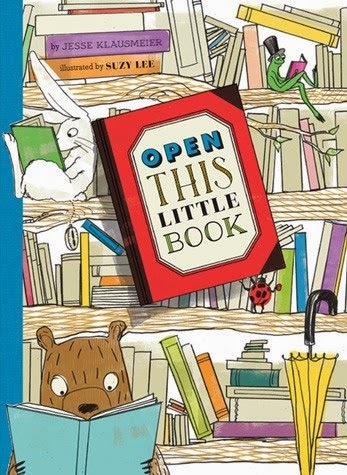 Open This Little Book by Jesse Klausmeier illustrated by Suzy Lee. This story literally draws you into it, as each page turn opens a tinier book than the page before. Hard to explain, so best to watch the book trailer above. I would have found this book absolutely fascinating as a child, so I love sharing this one. More titles coming later this week!